We were all taught, especially here in the Philippines that Coconut is referred to as the tree of life, right? This is because all, and I mean “A-L-L” parts of the coconut tree is used for various purposes – from the leaves, to fruits, to its trunk, down to its roots. 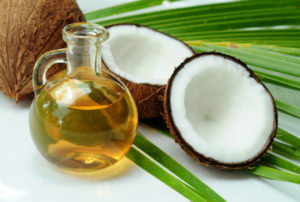 One of the most useful things that we can get from coconut is the oil and obviously, it is called the coconut oil. Personally, since I started my baking business, I prefer using coconut oil over other available cooking/baking oils in the groceries because I noticed that my products are moister and it has a “nutty” flavour. Plus, coconut oil has a high smoking point which works well when frying foods. Now I have more reasons to use coconut oil after I have attended the event. 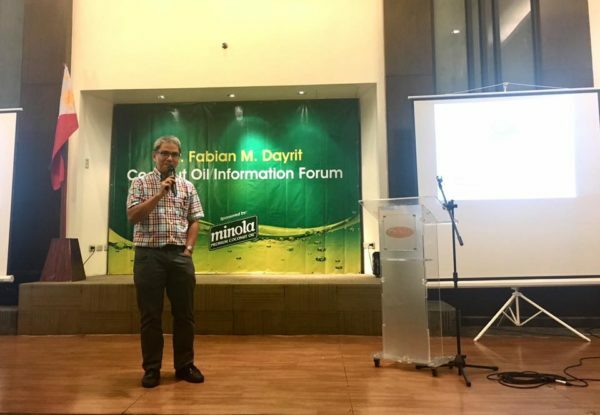 Coconut oil has been used in cooking for more than a century and although it is considered as a saturated fat, it is said to help fight coronary heart disease according to Fabian M. Dayrit, a National Academy of Science and Technology academic and Ateneo de Manila University chemist, during an event organized by Minola Cooking Oil. 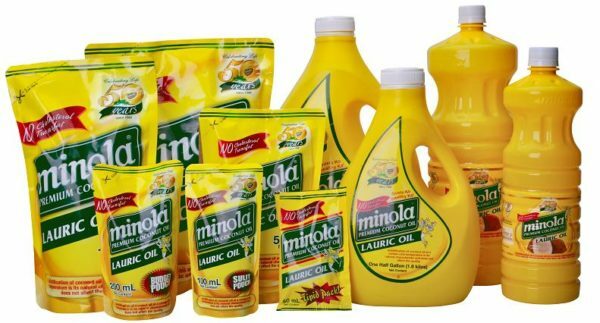 Minola has been around for around half a century and if you happen to watch Minola’s TV Ad before, it always mention the word Minolauric, this is so because Minola Coconut Oil is rich in Lauric Acid that helps boost our immune system. I have also learned from the talk that lauric acid are only found in coconut oil and from the mother’s milk. Lauric acid is considered a “healthier” saturated fat because it is more easily absorbed by the body bringing numerous health benefits, such as fighting certain pathogens that can harm our body and weight loss, among others. Coconut oil is the only fat that does not fatten us, Dayrit says. Dayrit also added, during his talk in the event that coconut oil may protect us from certain, as well as lowers the probability of having an Alzheimer’s disease, epilepsy, skin, gastrointestinal and oral diseases and perhaps even AIDS. 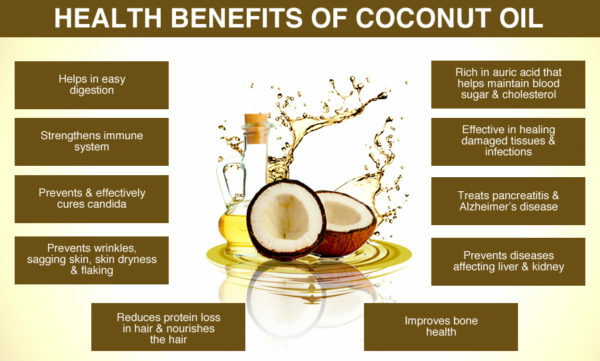 In addition, coconut oil slows down the aging process and reduce the chance of having deadly conditions involving the following vital organs such as heart, colon, pancreas and liver. His claim is based on the experiments performed by his late father, Conrado Dayrit, who was an oil research pioneer. 50 percent of the fat content in coconut oil is a fat rarely found in nature called lauric acid. Lauric acid is a powerful virus and gram-negative bacteria destroyer, and coconut oil contains the most lauric acid of any substance on Earth! Capric acid, another coconut fatty acid present in smaller amounts, has also been added to the list of coconut’s antimicrobial components. Olive oil may lead to weight gain and its effects on coronary heart disease (CHD) are not known. Canola oil is now being genetically modified to mimic the composition of coconut oil, says Dayrit. Corn, soy and other Omega-6s have the worst effects. They reduce good cholesterol, promote inflammation, lead to obesity, and up the odds of CHD and cancer. Too much consumption of corn, soybean, canola, sunflower oils may be partly the cause for the rise in metabolic and inflammatory dysfunctions, including CHD and cancer,” says Dayrit. The modern Western diet that calls for low-fat, high Omega-6 is making people ill, he adds. No matter how healthy we want to be, cholesterol increases naturally with age and NOT just ONLY because of saturated fat consumption. Dayrit emphasized that “Artificially” lowering cholesterol with statins also means damaging your liver at a higher cost, plus a possibility of acquiring diabetes, as a result. Now, if you want healthy living, start it by cooking your food using coconut oil offered by Minola and serve them to your family. This is one of the best ways to show your love to your family! I’ve been using coconut oil when making DIY skincare recipes too. I hope you could share some DIY skincare recipes using coconut. I also use coconut oil as skin moisturizer and is also a part of my skincare routine. Thanks.